Ethan: What are you doing mommy? Me: I’m cutting paper, do you want to help? Ethan: No, puputol yan e, sisira. Me: Do you want to cut paper? 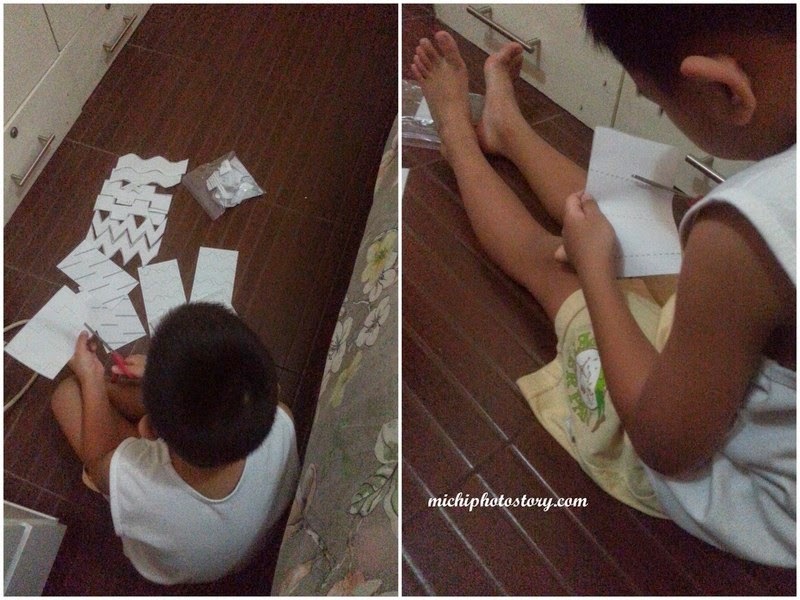 So I gave him the cutting practice activity that I printed before and it seems that he enjoyed it. I realized that maybe this is the best time to practice his cutting skills. I admit that I don’t allow him to use scissors because I don’t want him to cut anything or to hurt himself. I posted two years ago that my son cut our bed sheet and I don’t want that to happen again. See my post here. All his assignments or projects that need cutting, I do it for him. He can do the pasting but not the cutting. But I know that he needs to learn to cut because next year, he will be in Grade 1 so he needs to be independent. Little did I know that scissor cutting is very essential in preschool activities and it is considered pre-handwriting skills. Kaya pala ang ganda ganda ng sulat ng anak ko. lol I wish I knew this before so wala ng comment ang teacher na “practice writing”. 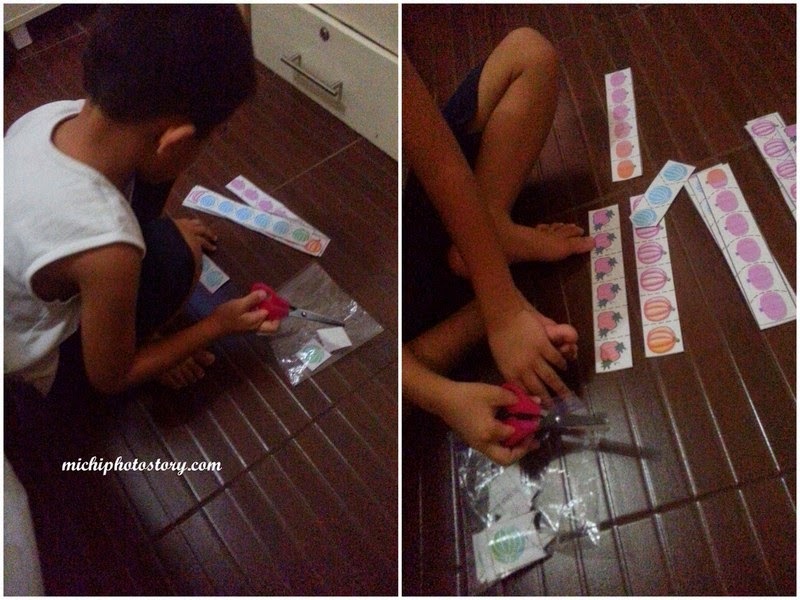 I search for more cutting practice worksheets and printed it so he has something to do this sembreak. So far, he can cut straight lines, zigzag and curved lines. From now on, we will cut more papers. 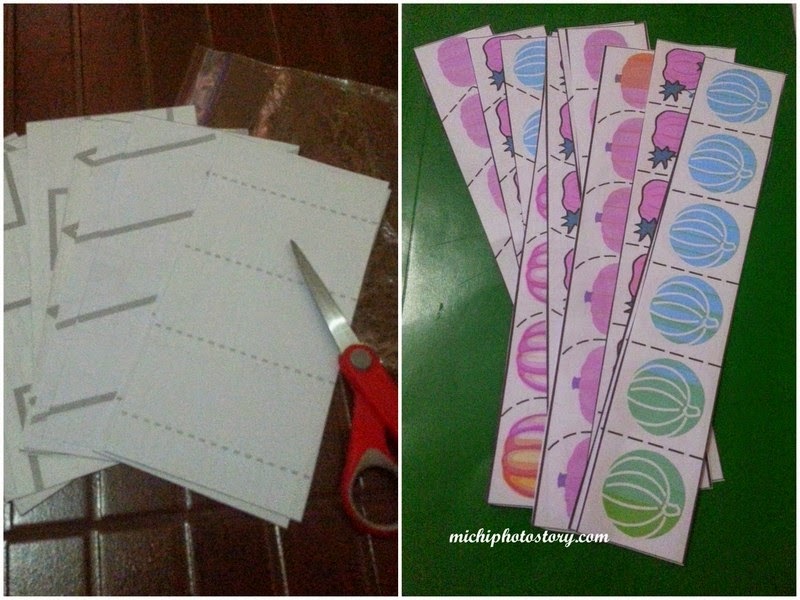 Note: I always used scratch paper to print worksheets. I also gave him plastic so he can clean his mess. 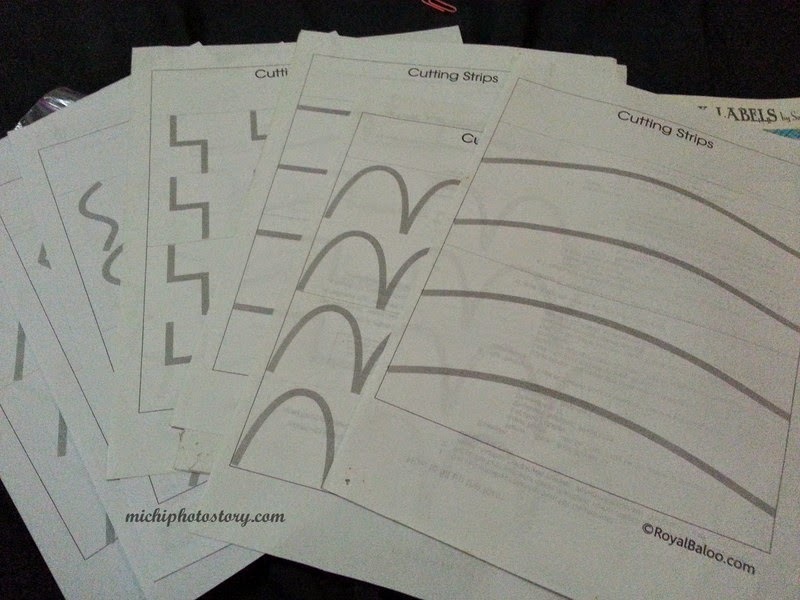 Click here to check the free cutting practice worksheets. 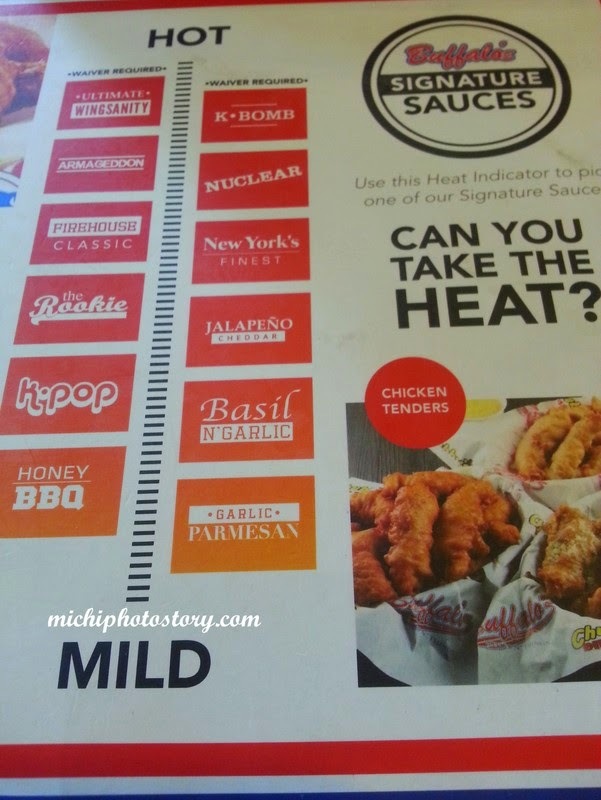 I mentioned in one of my posts that I received eGift Card from Munchpunch but I wasn’t able to use it because when we went to Buffalo’s Wings N Things Solenad branch, my eGC wasn’t honored. And because of that incident, I printed the giftaway and listed all the branches where I can use the eGC, para sure. 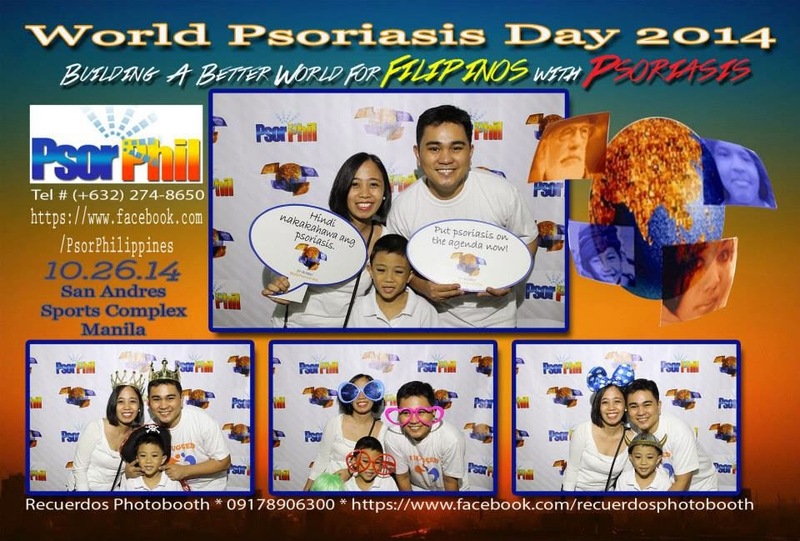 Four months had passed and finally I was able to use it, after attending the World Psoriasis Day in San Andres, Manila we went to Glorietta to eat our brunch at Buffalo’s Wings N Things. We’re satisfied with our meal again, I shared the chicken with my son. He only likes the skin of the chicken so ending sa kin na yung wala lasa. Lol My son did not like the dessert because he saw the blueberry sauce on top of the cream. But my husband was so happy with the NY Cheese Cake Ice Cream and muntikan ko ng di matikman. 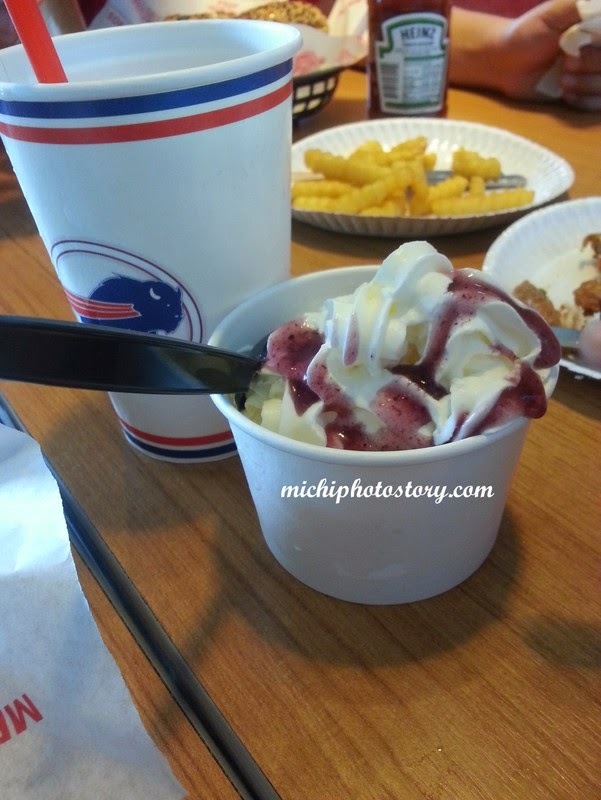 Lol #masarapnamankasi Next time we visit this restaurant, I will order the ice cream again. Since we always go out every weekend, we have no choice but to eat outside. 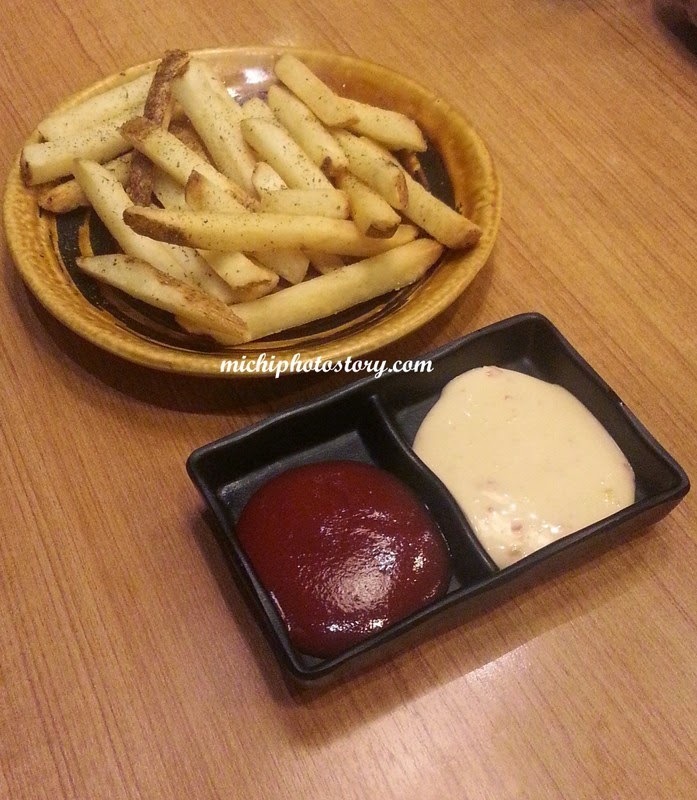 We don’t want to splurge on food always so from time to time we eat in fastfood or affordable restaurant. 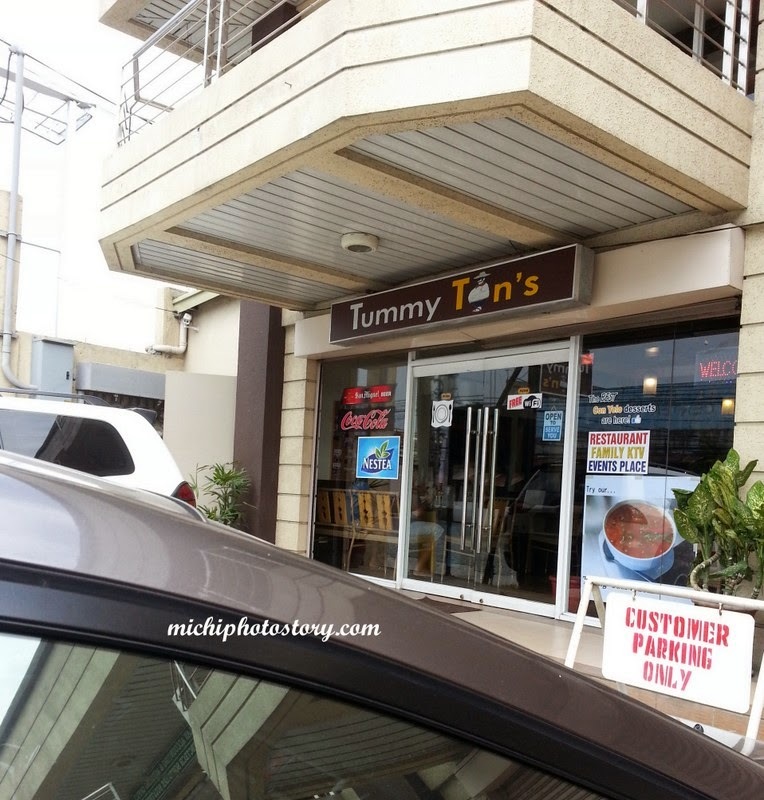 A couple of weeks ago, after my check-up, we went to Tummy Tons to eat our lunch because we don’t have food at home. My husband ate here before so he suggested this so I can try the mais con yelo na parang Razon’s din yung ice. 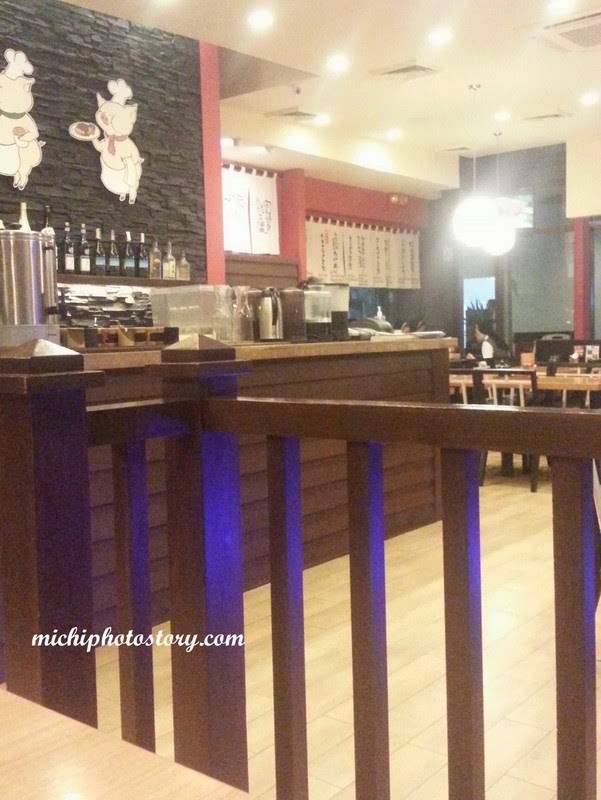 If you live in Binan, Laguna, you will notice this restaurant because it is along the hi-way before you reach the Carmona/Binan Exit. 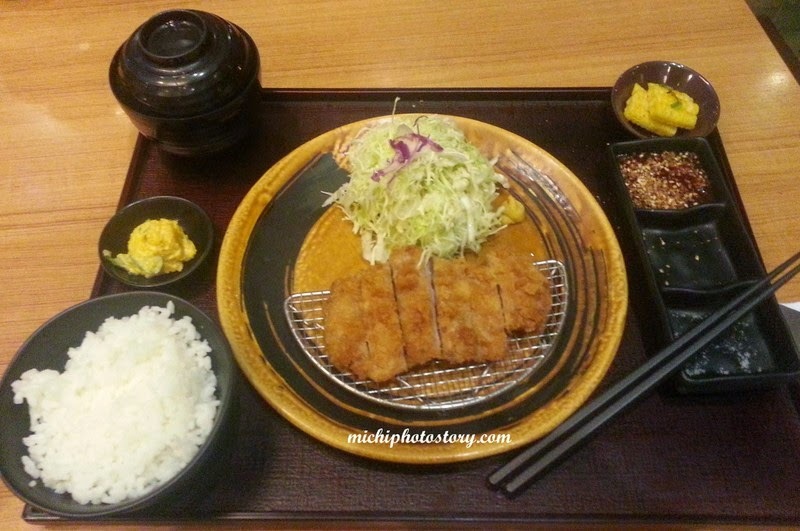 It took me time to browse the menu and we ended up buying set meals. 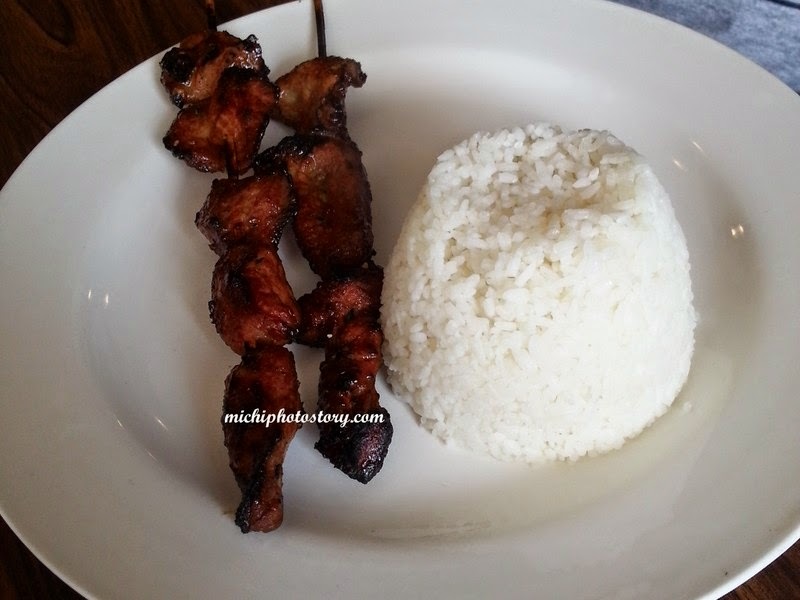 My son ordered the budget meal lumpia shanghai P65 and my husband and I ordered the P99 meal BBQ and Grilled Liempo (unlimited rice + iced tea). 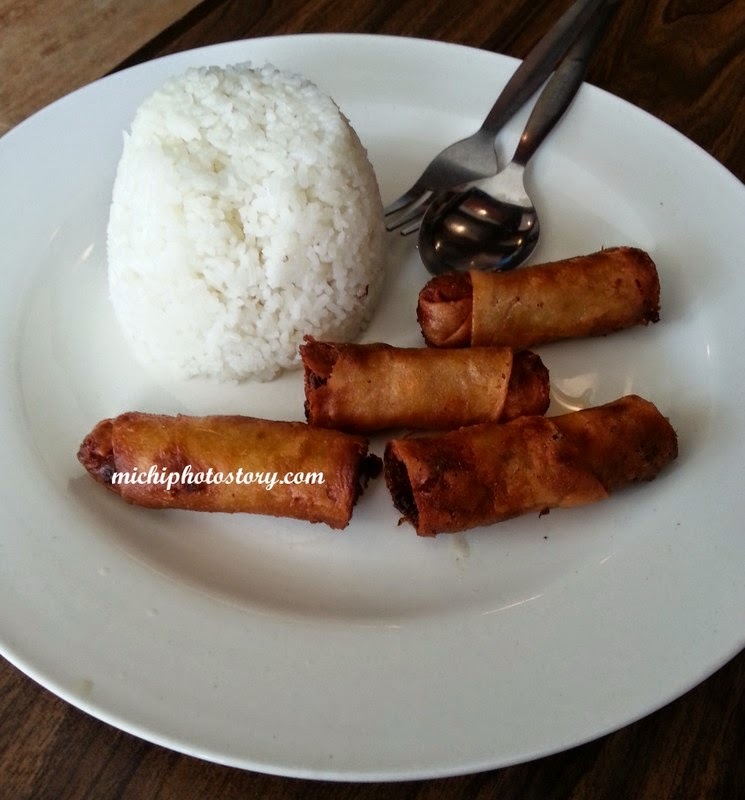 That’s what we thought but when we received the bill, P120 pala yung with iced tea. Waah! 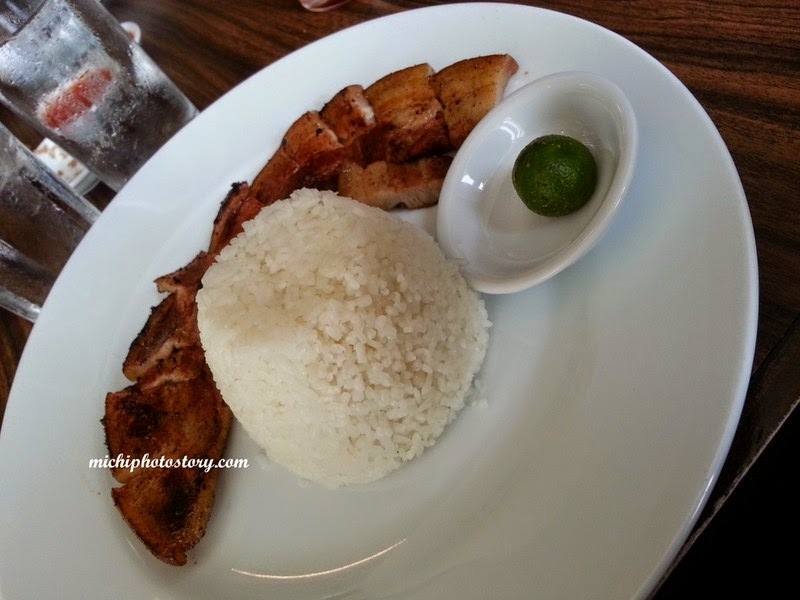 I should ordered the budget meal na lang because di naman ko malakas sa rice. 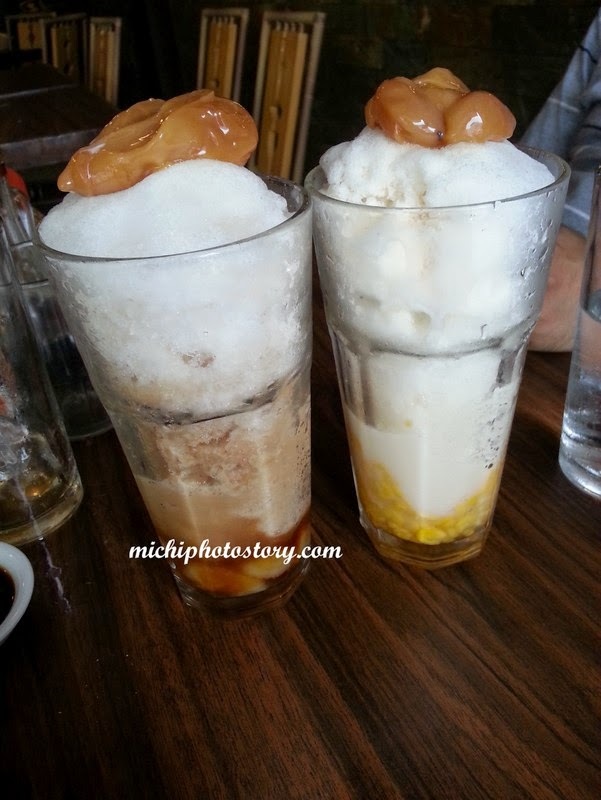 We also ordered saging con yelo P55 and mais con yelo P45, I agree with my husband that the shaved ice can be compared to Razon’s but I still prefer Razon’s. Overall, we’re all satisified naman with the taste and take note, free wifi pa sila. But next time, budget meals na lang kami. Hehehe! One more day and my son will have his school break. Yey! I don’t have to set my alarm clock for one week. I have more time to do the household chores and finish my backlogs because we have no homework and quizzes. Last review later because tomorrow is the last day of his second periodical test. We need to review for Christian Living, Health and Computer. Anyway, do you have any plans for sembreak? 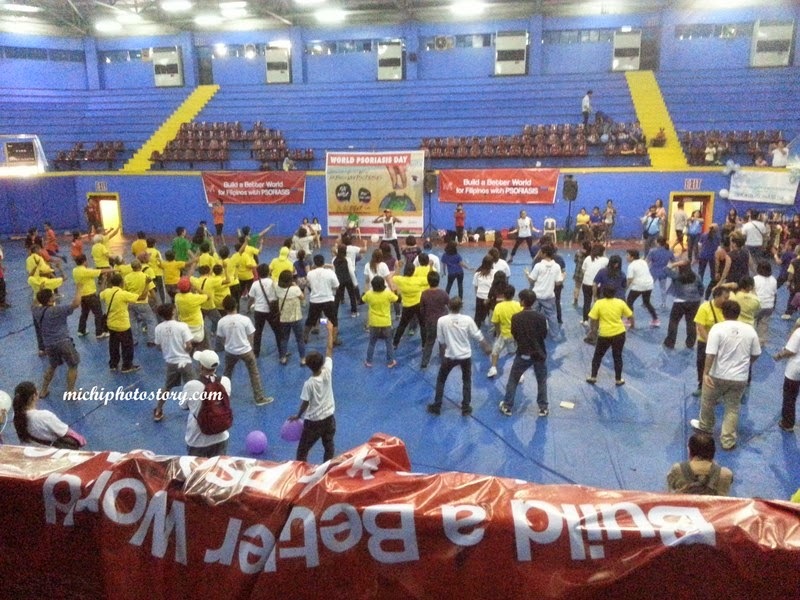 Are you looking for sembreak activities where you can take your kids while they are on vacation. 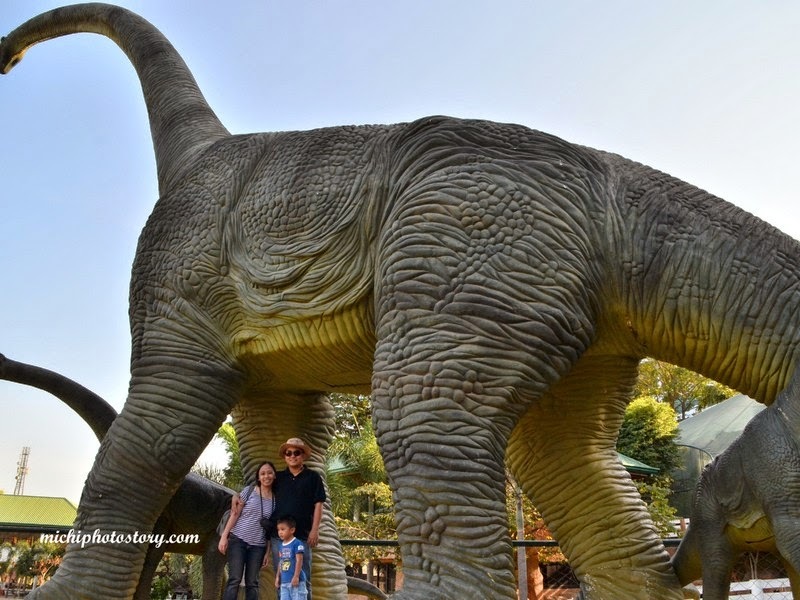 I know that I posted before some zoos that you can visit under Zoomanity but I’ll be sharing to you more zoos that we have visited here in Philippines. Let me start with Manila Zoo. I’ve visited this zoo twice, one when I was 7 years old and the second time was when I went with my own family. Yes, after two decades. The elephant was still there and I saw that they offer a boat ride too. 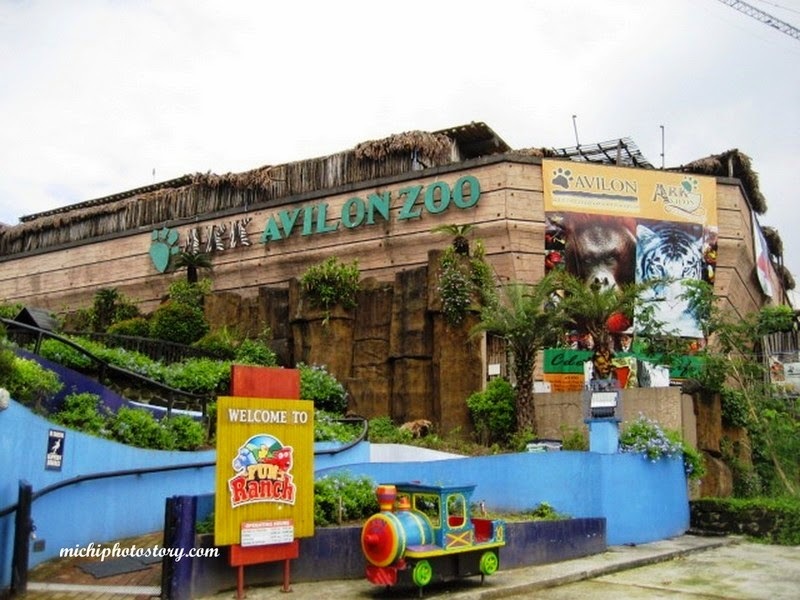 I heard that there is Kinder Zoo beside the Manila Zoo which I haven’t visited yet. 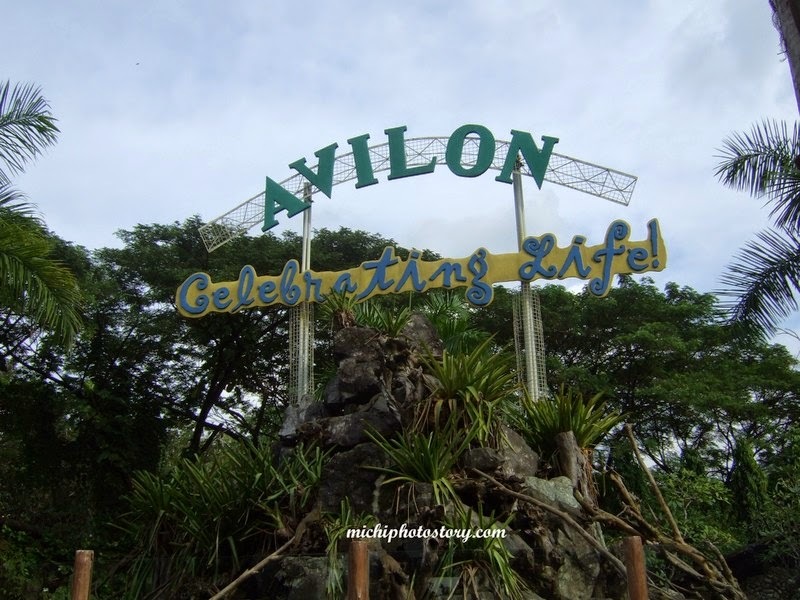 Next is Ark Avilon Zoo, we celebrated our son’s 3rd birthday in this zoo because at that time the weather is unpredictable so we chose an indoor interactive zoo. The zoo is not that big, in fact you can enjoy the place for one hour. The good thing about this zoo is, it is located in Tiendisitas so you can shop or play at the Fun Ranch if you have more time. We also visited Avilon Zoo, the sister company of Ark Avilon Zoo. 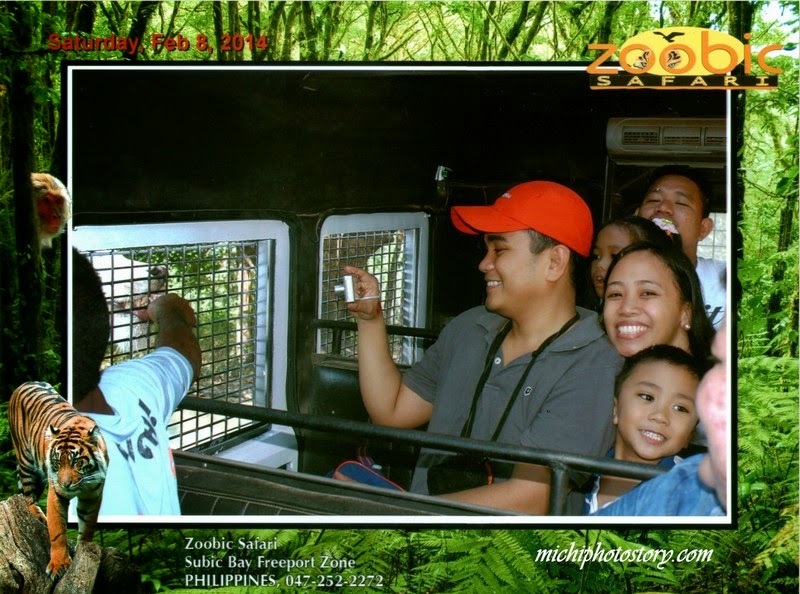 This zoo is much bigger and located in Rizal and it took us more than two hours just to tour the zoo. 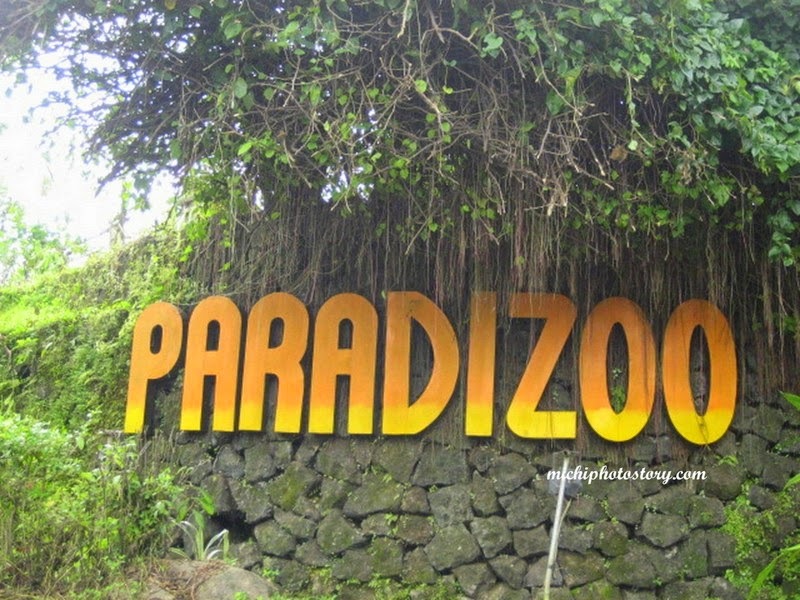 Paradizoo is the first zoo that my son visited which is located in Mendez, Cavite. The place is not that big so if you still have time try to visit Residence Inn Zoo which is located in Tagaytay. 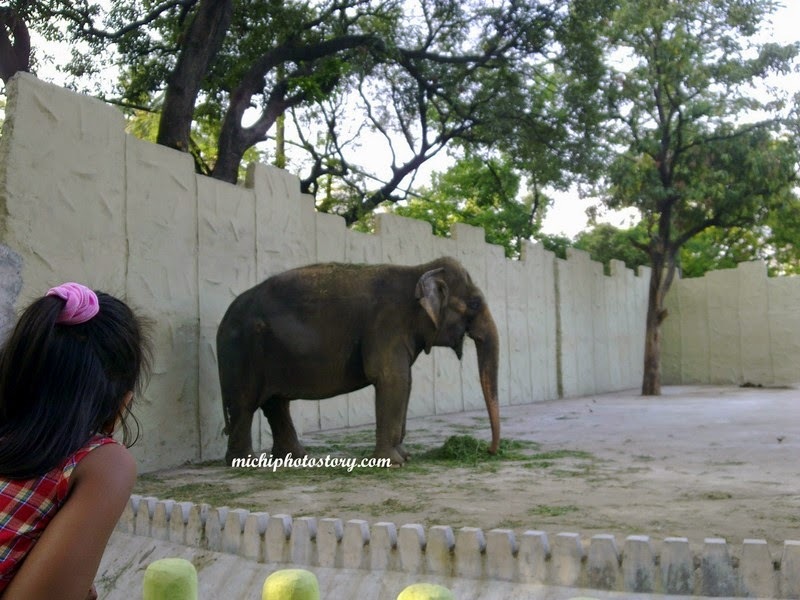 You won’t miss this zoo because it is along the highway. There are more activities and in addition, you can watch animal shows. 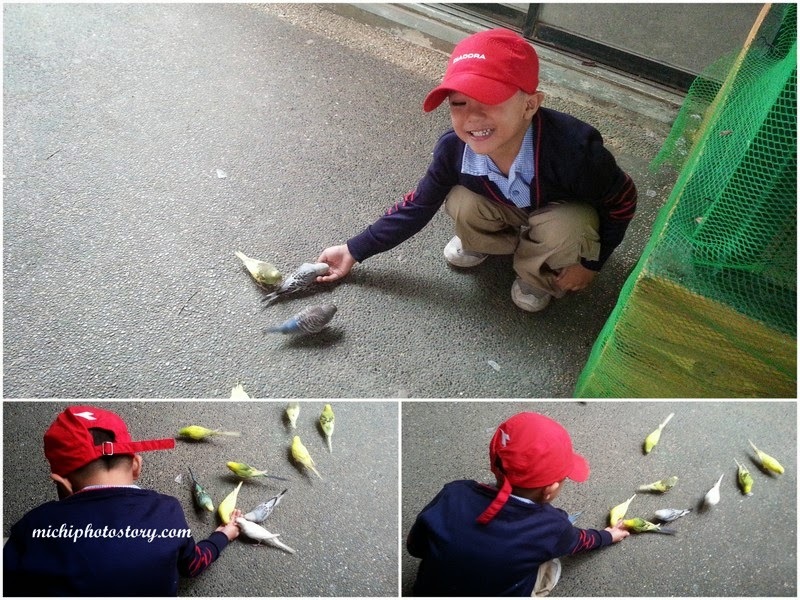 Zoobic Safari, we have just visited this zoo this year and so far this is the memorable one because we enjoy the tram ride, the lion safari and tiger safari. 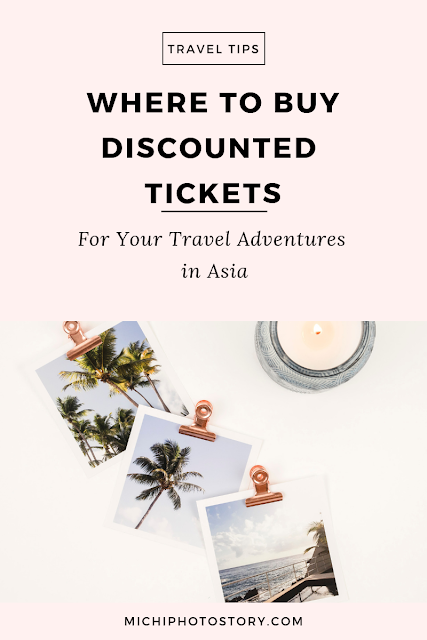 I heard that they also offer Zoobic Night Safari and I’m not sure if it is the same with the Night Safari that we’ve experienced in Singapore. Lastly, we also visited Baluarte during our Laoag and Vigan Trip. The good thing about this zoo is there is no entrance fee so don’t forget to include this in your itinerary. 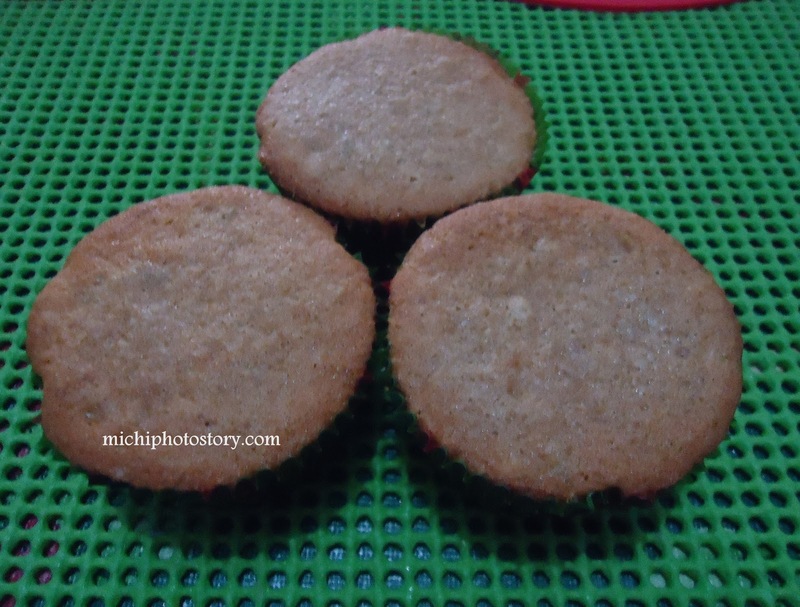 Banana cupcake is one goodie that I always bake at home to save overripe bananas. I always use the banana recipe which I’ve got from Yummy Magazine and if I have available chocolate chips at home, I added it on the recipe. 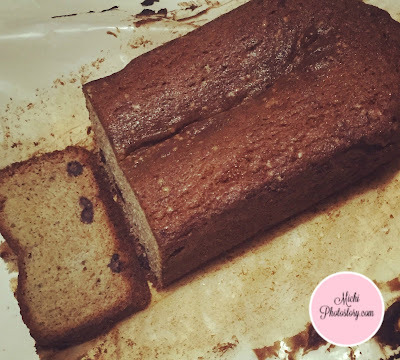 Two weeks ago, I baked banana chocolate cupcake and loaf because my husband prefers loaf bread. 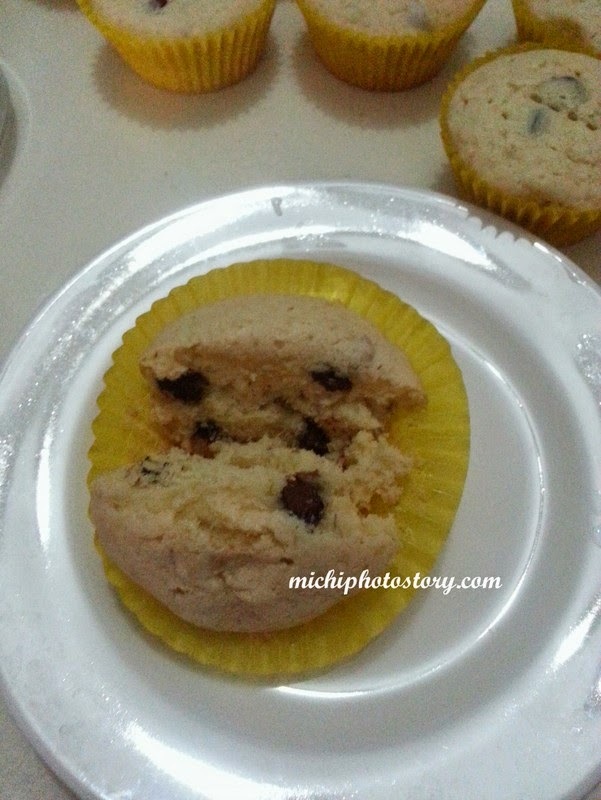 I used the same recipe but my husband said, best cupcake ko daw ito. I told him, Hersheys kasi yung chocolate chips. 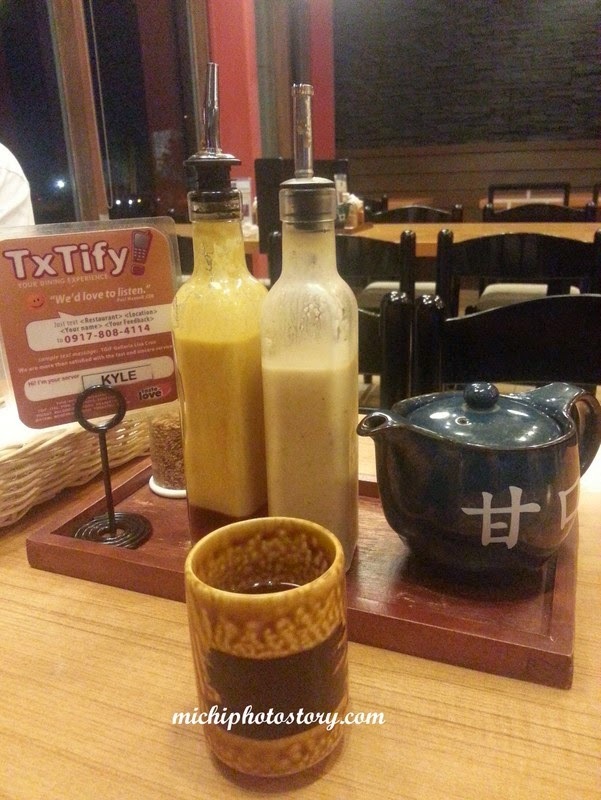 It is really true that the taste improves if you use better ingredients. The cupcake was gone within 24 hrs. No doubt, type nila yung instant mix of Ghirardelli Triple Chocolate Brownies compared to my brownies from scratch. Hehehe! 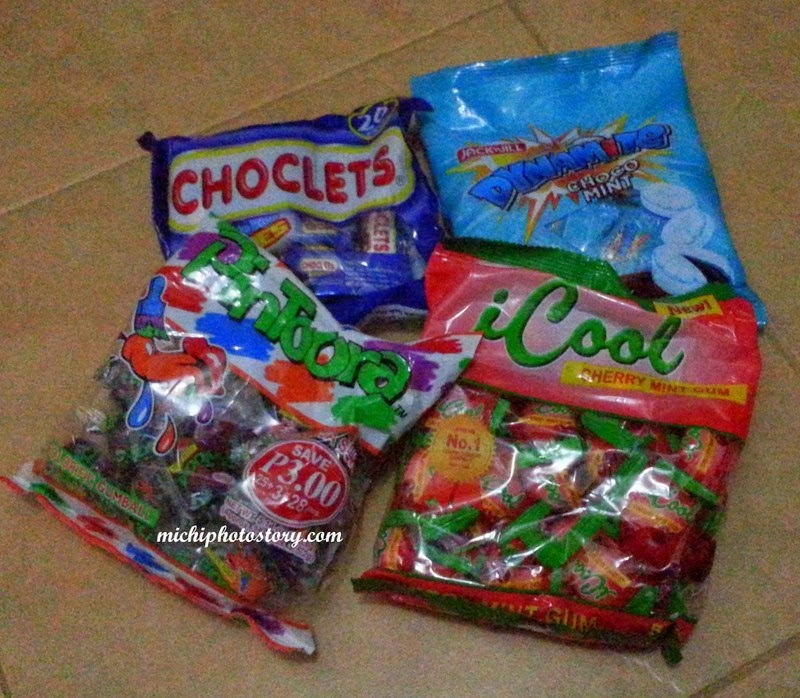 Just a while ago, my son keeps on asking me for food which we do not have in the fridge or in the pantry. He keeps on asking for ice cream, cake, chocolate and lastly bread but I could not give anything to him so I decided to bake banana bread. 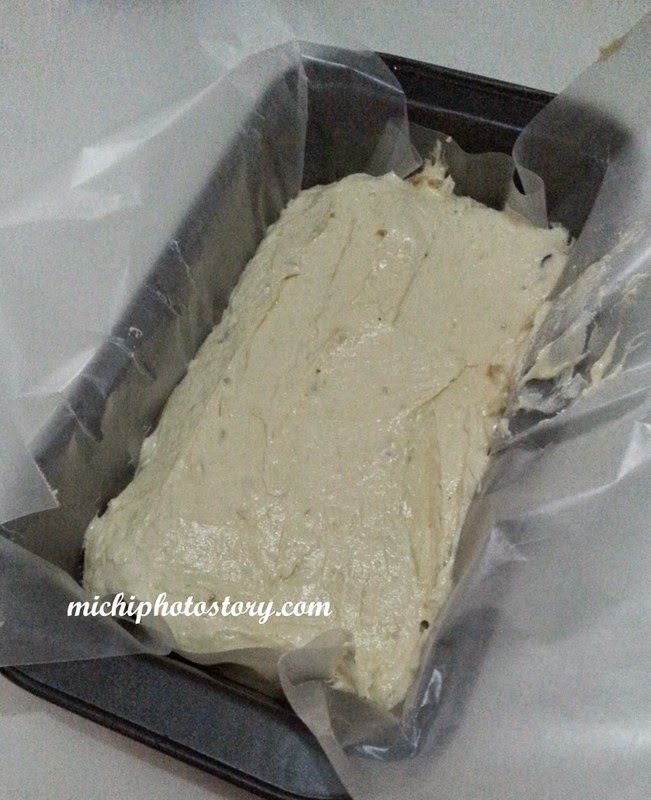 Banana bread is the easiest recipe that I could prepare. It took me 45-50 minutes to bake the banana bread when I use the loaf pan. 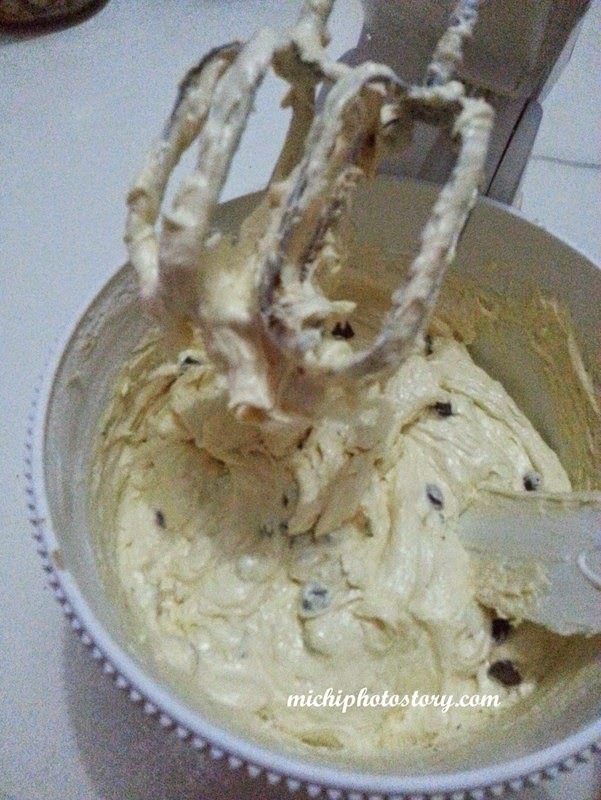 To make it more special, add some nuts and chocolate chips. My son was satisfied with his slice of banana bread and 1 piece of cupcake. For the last three days, my husband keeps on begging me to bake banana bread because it’s been two years since the last time I have baked a cake, cupcake or any food. Finally, I gave in last night so I baked a banana cupcake. It is just a plain banana cupcake because I no longer have baking ingredients in my pantry. It was my first time to use a gas oven, it is not as complicated as I thought. So now, am thinking to buy baking ingredients again to enhance my baking skills and learn new recipes or enroll in baking school? (wish I have time). 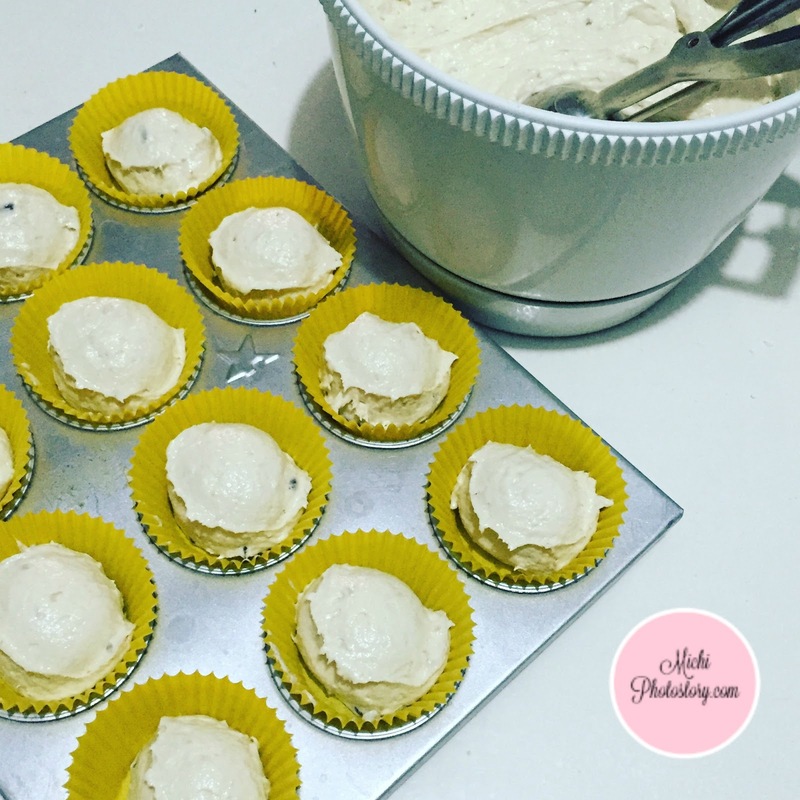 I’ve got this recipe from Yummy magazine and I always use this every time I make a banana cupcake, in short tried and tested recipe. 1. In a bowl, mix together ½ cup butter at room temperature and 2/3 cup sugar. 2. Add 1 egg and 2 mashed bananas. 4. Add 1 cup plus 2 tbsp flour, ½ tsp baking powder, ½ tsp baking soda, and ½ tsp salt. 5. Spoon the mixture into paper-lined muffin cups. Sprinkle with cinnamon sugar (1tbsp sugar and mixed with ¼ tsp cinnamon. 6. 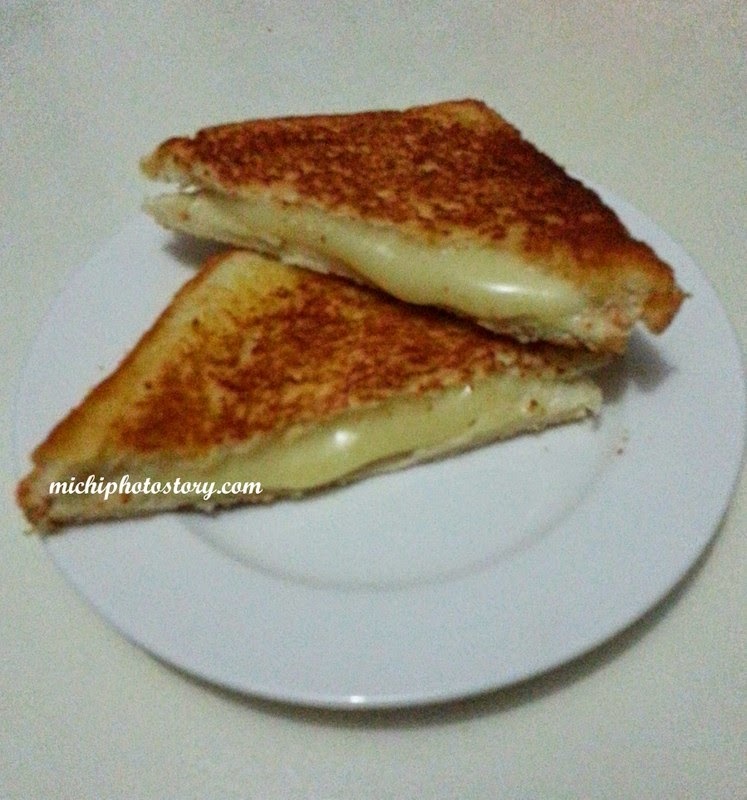 Bake at 350 degrees Fahrenheit about 20 to 25 minutes or till sides are lightly browned and top no longer look wet. 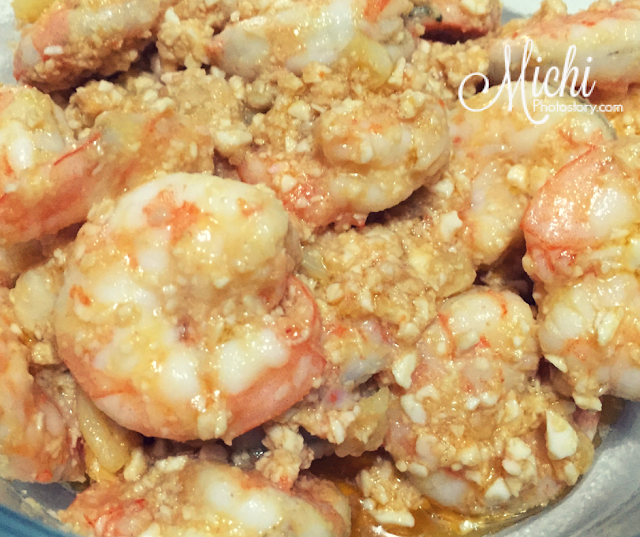 If you are a regular reader of this blog, you know that I love shrimp and I always cook buttered garlic shrimp. 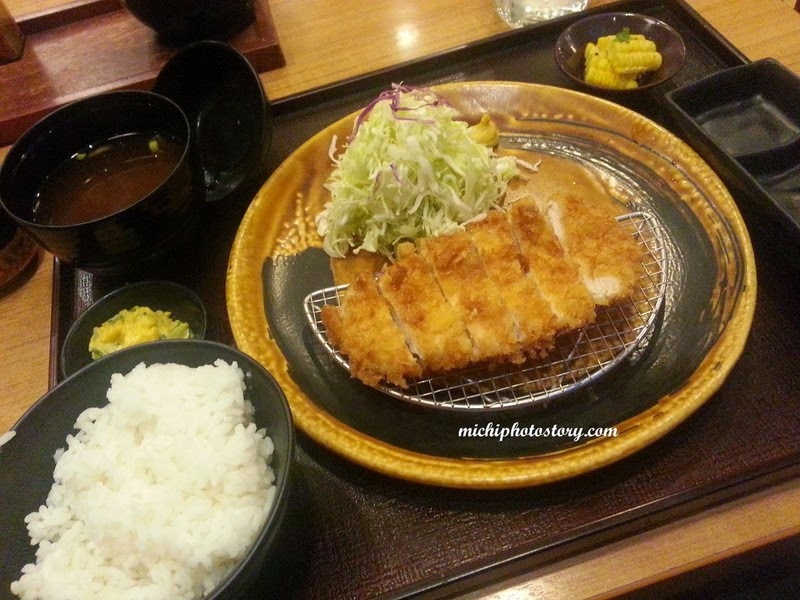 It is one easy dish that I can prepare when I’m busy or I’m lazy to cook. Lol. I love salted egg too so I always buy salted egg duck in Tindahan ng Itlog ni Kuya at Victoria, Laguna. Anyway, I check google for the recipe, some fried the shrimp first, some just use egg yolk and some use milk for the sauce. But I always want an easy dish and few ingredients so I decided to follow my recipe for buttered garlic shrimp and I just add the salted egg. 1. Remove the shell of the shrimp. Deveined it if you want. 2. Season it with salt and pepper. 3. In a pan, melt the butter and stir in the garlic until fragrant. 4. Add the mashed salted egg and mix. 5. Toss in the shrimp and stir. Cook it until it changes color for about 4-6 minutes. I tasted it and I was so happy with the result and I even texted my husband na baka di na umabot sa dinner. Hahaha! 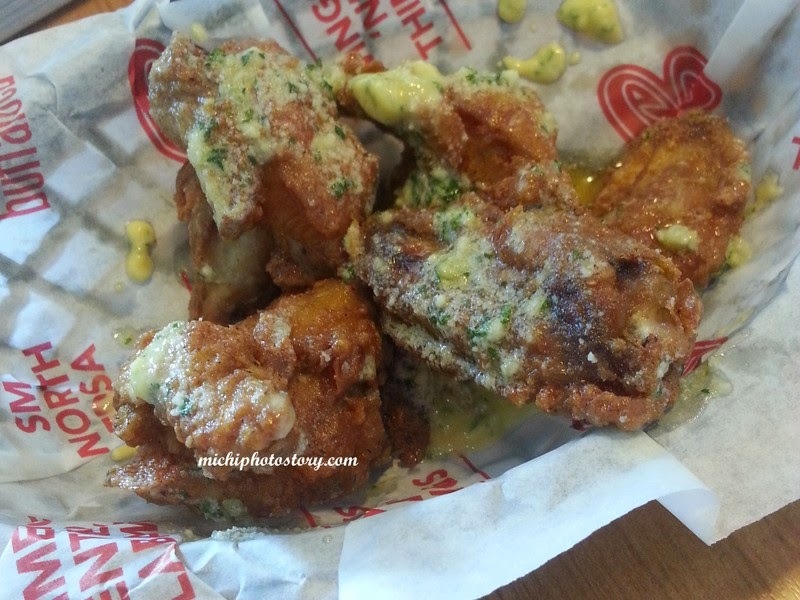 The salted egg gives more flavor to the buttered garlic sauce and I love it. I will try this with crabs. You’ve got a ton of jewelry-making paraphernalia laying around, don’t you? Admit it. The beads, the wiring, the yard, the string, the baubles. They’re taking up space on your table. 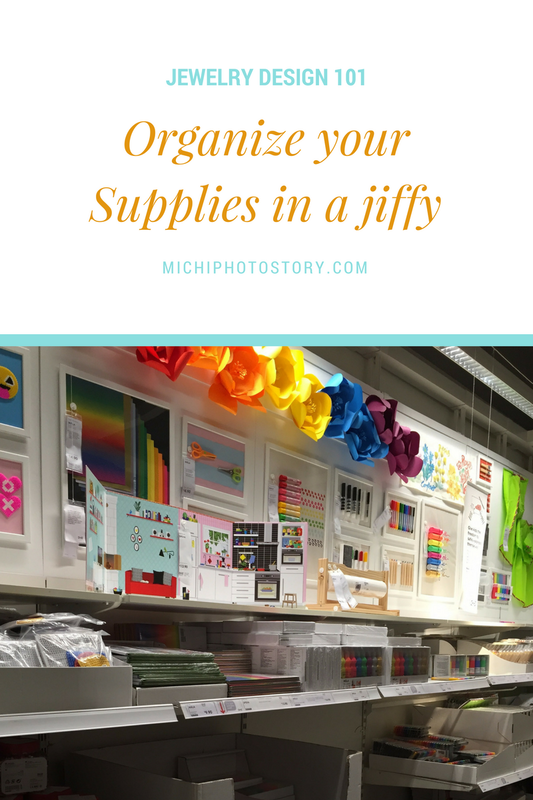 You need a way to neatly organize them without making them disappear completely. Here’s how to do that. Tupperware is your friend, when it comes to sorting and organizing. Figure out a few basic things like how many “categories” of stuff you have. So, for example, if you have 10 different colors of beads, you would need 10 different tupperware containers. If you have cabochon, briolettes, or focals that you don’t want stuffed into a container, go to the local crafts store and pick up some padding to protect them. You can still use tupperware, or some other kind of plastic container-like material. You just need something that’s a bit more protective inside them is all. Get yourself a label-maker, like the Dymo Label writer 450 turbo. It will be a lifesaver. 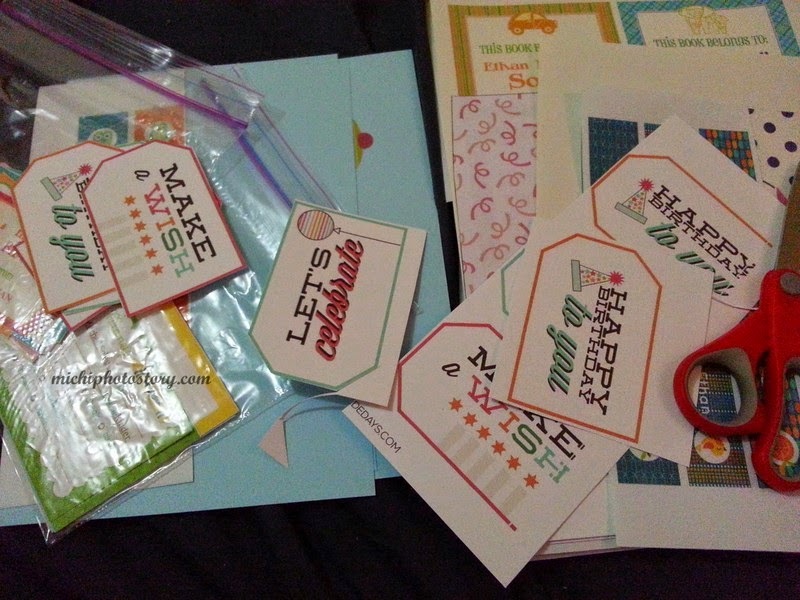 Making labels for everything, of course, saves you the frustration of digging through questionably translucent containers for that one special clip or pin that you need to complete your project. Making labels also lets you organize and sort everything on a shelf so that you can find the container you need quickly. 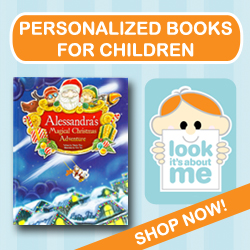 When choosing a label-maker, there are a few things to look for. First, how much does the label roll cost? If you have a lot of containers, and you plan on updating the contents, and you think you might need refills or additional rolls, you don’t want to get hit in the wallet with overpriced labels. 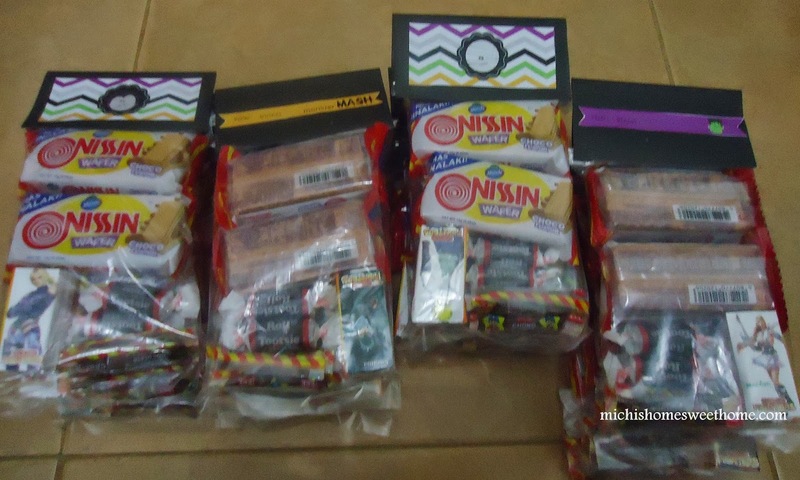 At the same time, you want to look for a decent-quality label-maker that will give you strong prints and a good adhesive so that labels don’t fall off after a month. This is where the fun begins. If you have a lot of jewelry already made up, if you keep a lot of wiring, string, fiber, cloth, or anything that doesn’t belong in a box, here’s how you organize that stuff: destroy some wire coat hangers. 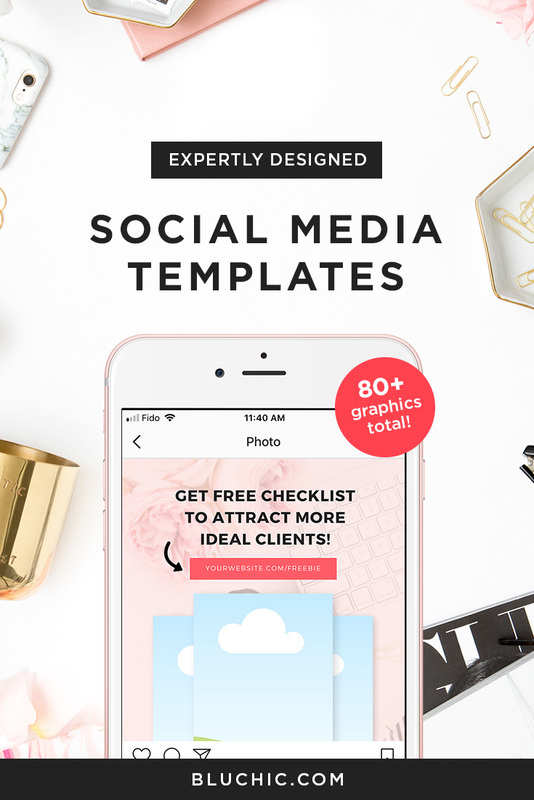 You can bend those things into amazing shapes, cut and reshape them, and customize them in endless ways so that they will hold all of your goodies. The best thing about this little hack is that coat hangers are cheap, they look good, and they’re easy to sort. You can either put them in an open closet, hang them on nails on the wall, hang them on pegs on a pegboard, or hang them over a door. You can even buy one of those over-the-door kitchen organizers and use it as a makeshift organizer for your repurposed coat hangers. 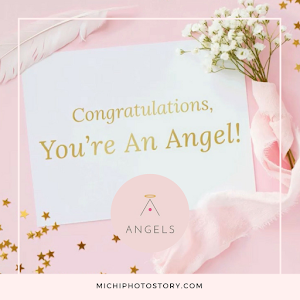 They don’t take labels well, but, you probably don’t need to label them anyway since you have a visual cue there about what’s on them. Just make sure you file down any rough edges that you cut or you’ll be in for a nasty surprise. Selina Aumiller is a busy mom and small business owner. When she gets the time, she likes to share what works for her with others who could use some tips. 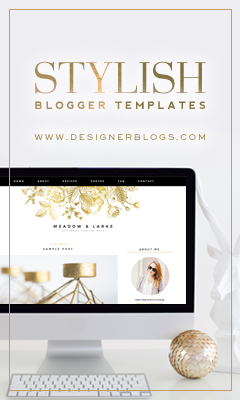 Look for her helpful articles on many business websites today. 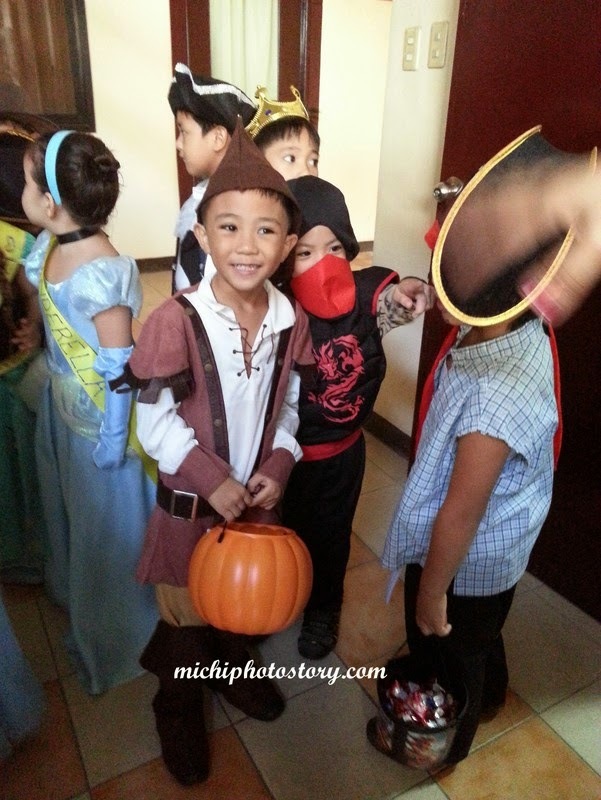 I mentioned in my previous post that my son will be having a costume parade in their school. He is Robin Hood today. 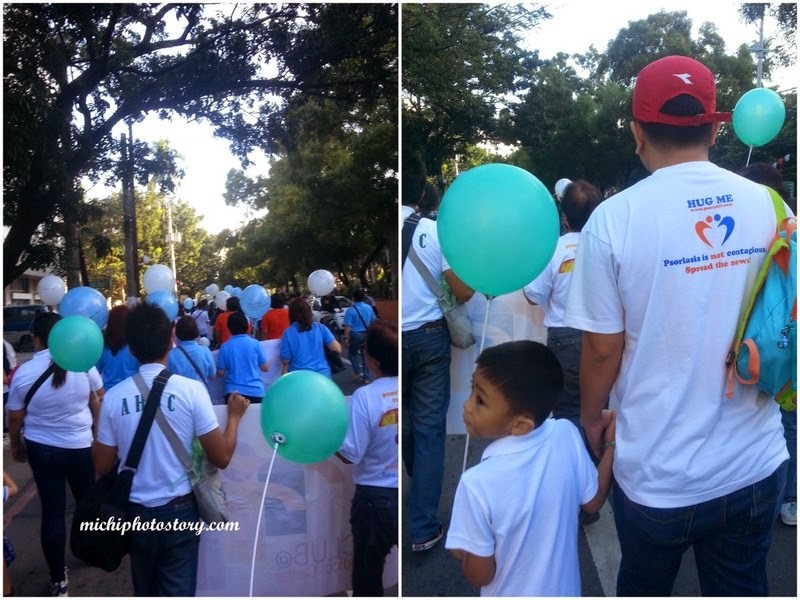 The event was simple, the kids will just roam around the campus to give candies to students. 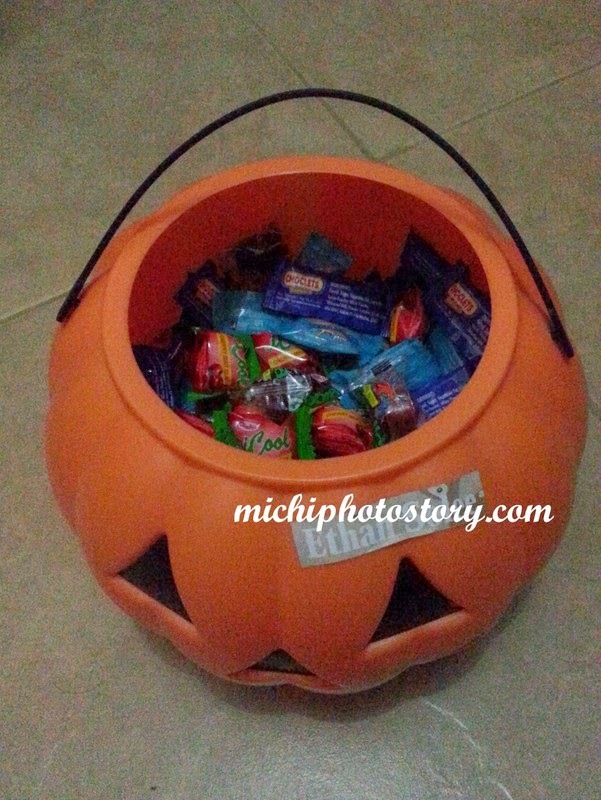 It is very different from the Trick or Treat that we’ve experienced before so we went home with empty pumpkin bucket. Hehehe! 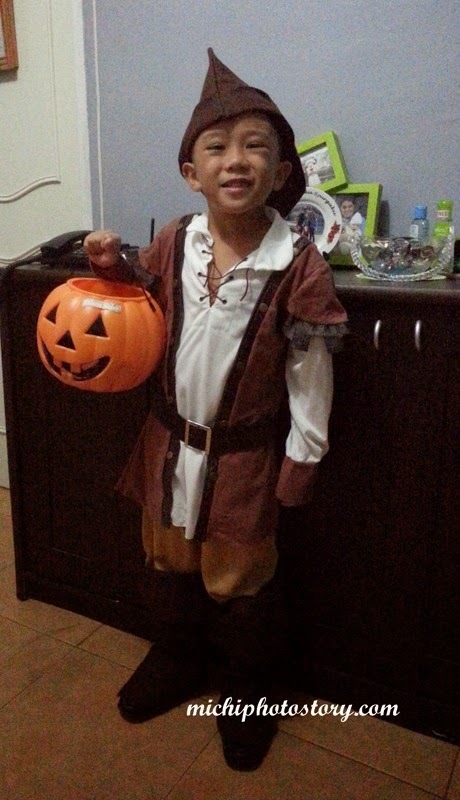 I’m not sure if we will attend Trick or Treat event this year but I will share to you the previous Halloween Costumes of my son. First Trick or Treat experience in my husband’s office. 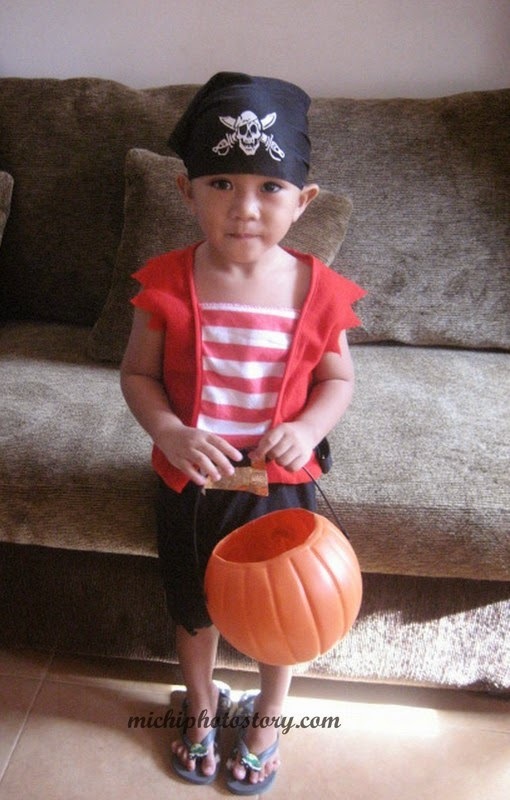 A common pirate costume. 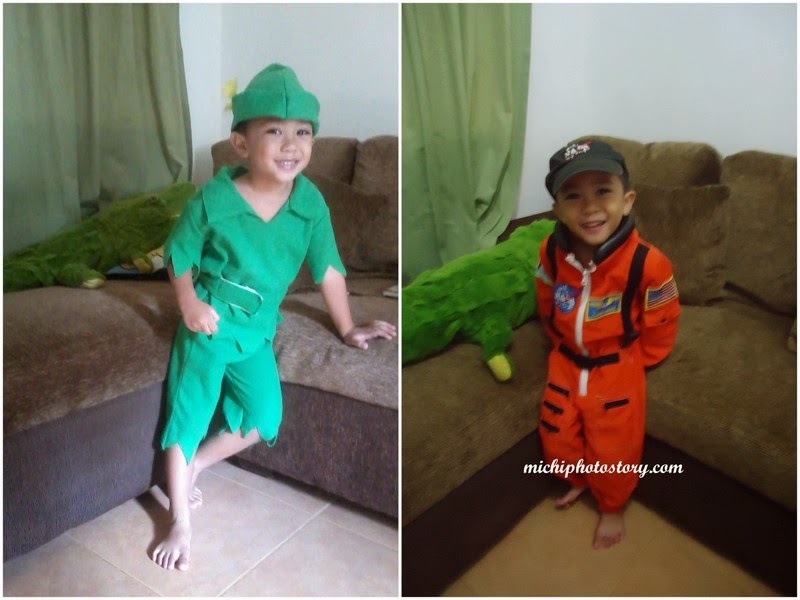 Next costumes were Peter Pan and Astronaut when he was in Nursery. 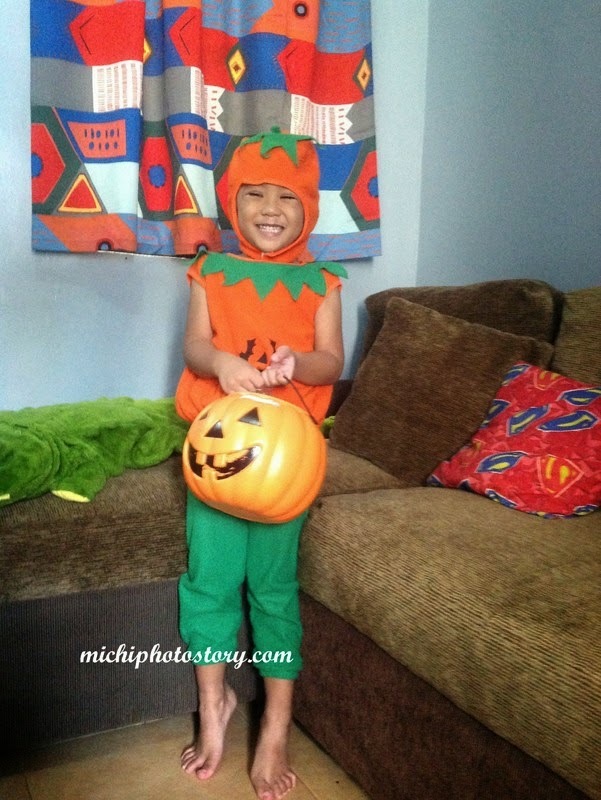 And last year, he wanted to be pumpkin so we still bought this costume kahit maliit na. You can click here and here for other Halloween Costumes ideas. October is the month for United Nation and for the last two years, this is one of my busiest months because I need two costumes, one for United Nation and one for Trick or Treat. 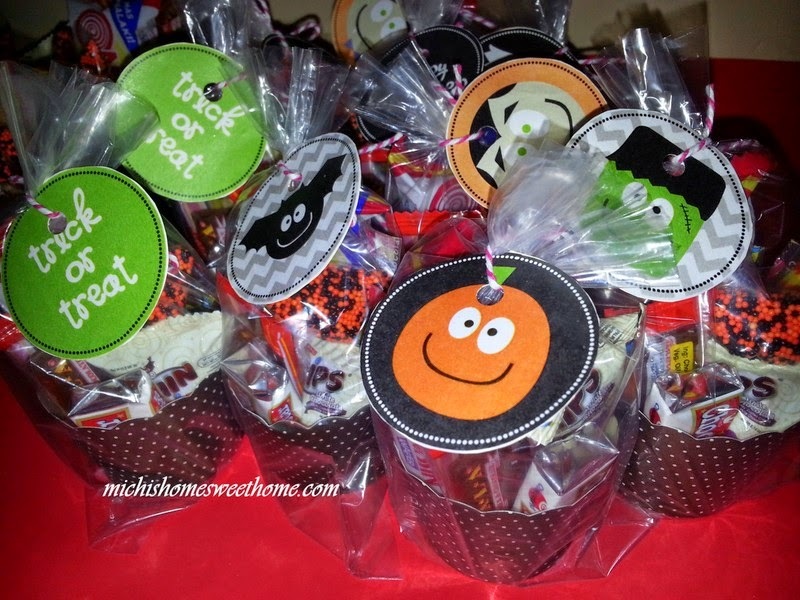 Fortunately, this year my son has no United Nation nor Trick or Treat program in his new school. They will only have costume parade this coming Friday, each level has their own theme. Nursery will wear superheroes costume, Pre-Kinder will wear United Nation costume and Kinder will wear Fairy Tale or Book Character Costume. 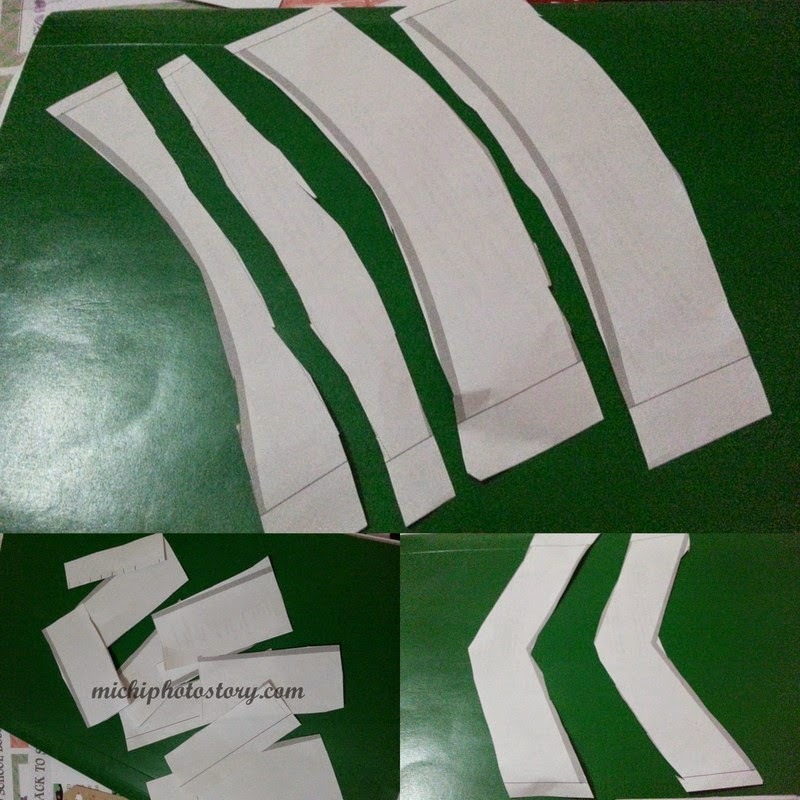 Looking for a costume is not easy especially I live in Southern Luzon and Divisoria and Baclaran are too far for me. So most of the time I go to tailoring shop for my son’s costume but of course not all will accept your request because of the time constraint. Sharing with you the costumes of my son for the last two years. 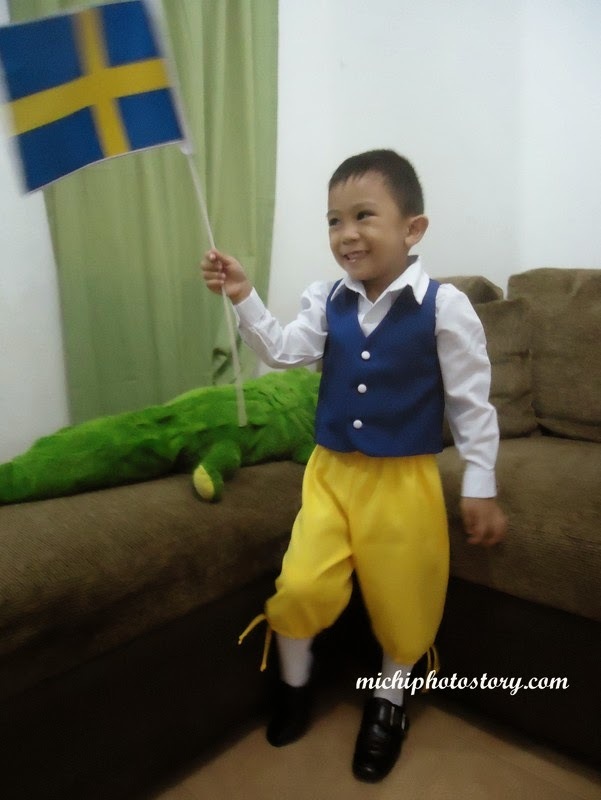 He was Mr. Sweden when he was in Nursey. I have the white longsleeves and long socks so I only bought fabric P100 for the blue vest and yellow short pants. The tailoring shop charged me P350 for the blue vest and short pants so it is quite expensive. 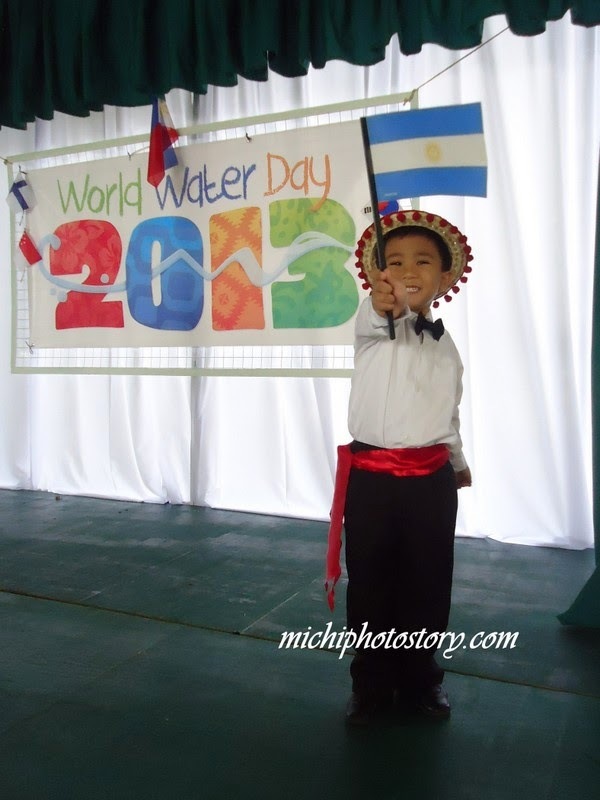 He was Mr. Argentina when he was in Pre-Kinder. I have the white longsleeves and black pants so the only stuff I need is the accessories. 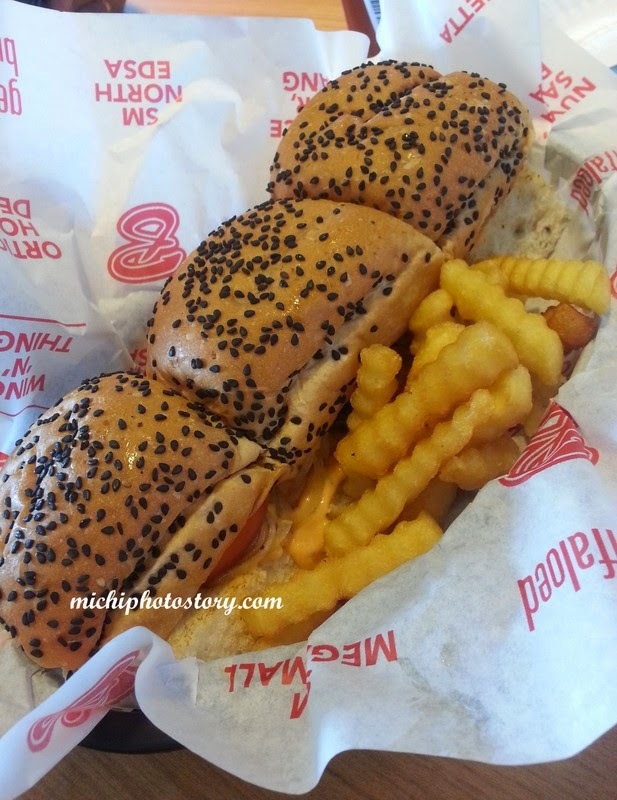 I ordered it in school and I think I paid less than P200. The only problem with the costume is the hat, out of stock na kasi so yan na lang pwede.